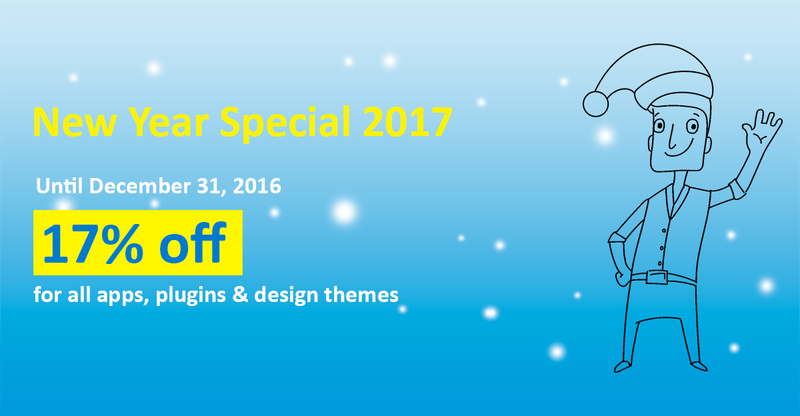 We are glad to announce a New Year special offer, which includes a 17% discount for most design themes, plugins, and apps in Webasyst Store available through December 31, 2016! To make this offer even more "special", we have additionally created two software bundles so that you can purchase Webasyst apps and plugins at a reduced price. Seven popular apps and plugins for managing your business online. New Shop-Script license with 17% discount + Mailer app for free. 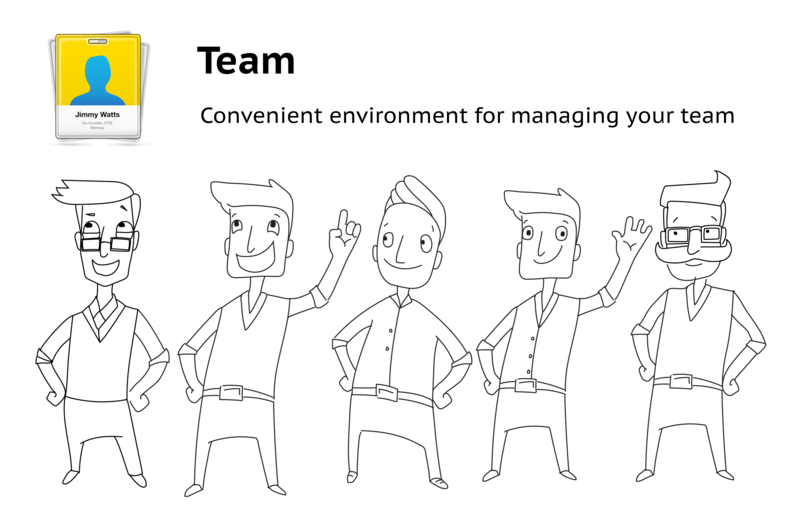 We are excited to announce the release of a new Webasyst app called Team! In Team, you can select a user and view the statistics of their actions performed in all or any selected Webasyst app in the form of a graph, which will help you to visually evaluate how active is each of your teammates. For each user, you can view the exact list of actions performed during a month. Your colleagues may be working all in one office or may be accessing your Webasyst account remotely. 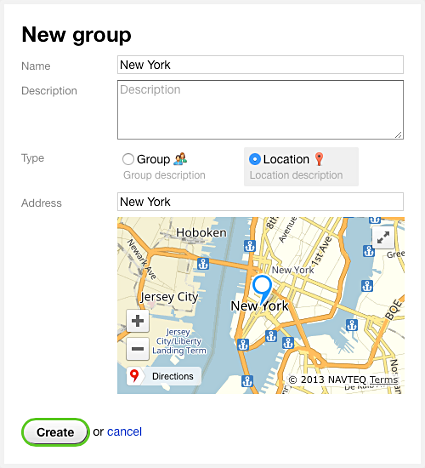 Depending on your specific organization type, group users by locations or by their tasks and access levels. Every user can be included in one or several group, according to your needs. This is an important part of your Team app. 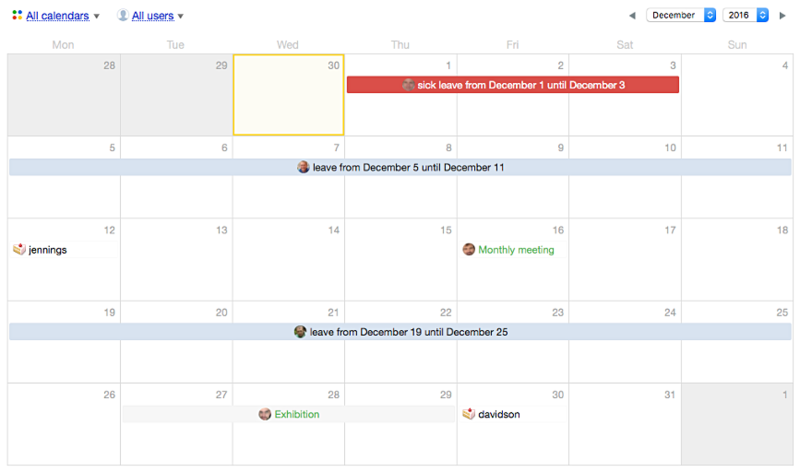 Via calendars, you can set leaves or mark the periods of absence due to business trips, for example. In addition to these “standard” statuses, you can add custom ones such as “Very busy, disturb only on important matters until ...”. Similar to user statuses, you can also add to a calendar information about various events associated with your team. By default, Team offers several preset calendars: “Birthday”, “Leave”, “Business trip”, “Sick leave”, “Appointment", “Other”. You may add your custom calendars to these default ones, if you want to manage a large number of various types of events. Every user can set up synchronization between a Team calendar and personal calendars in online services Google, iCalendar, and Outlook.com. Manage calendar events via Team, and will see all your changes when you log into those services again. For the integration of external calendars with Team, we have released free plugins for this new app. 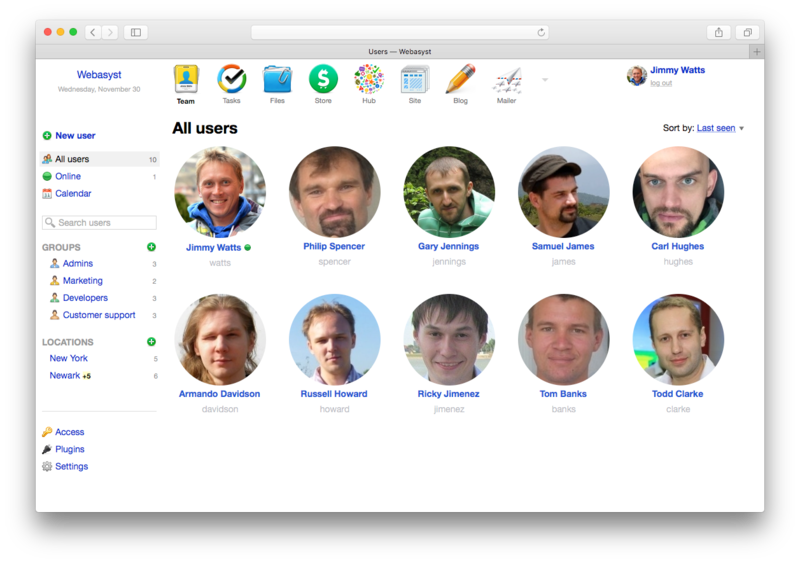 Team is available free of charge to all users of Webasyst software. Install it in one click in your Installer and begin to manage your team's work fast and efficiently using the all-new Team app. added new synchronization option for Google Drive. To enable access to Google Drive documents from within Files, we have released a new free plugin. Now users of your Webasyst account will be able to work with any files stored in your Google Drive. Permissions to access these files are granted via regular access rights settings available for Files app. Google docs, sheets, slides, and drawings created within Google Drive can be easily viewed or edited directly in Google Drive via a link available in Files app. Manual on connecting Files app to Google Drive. We have released a major Shop-Script update to ver. 7.1.0. With this update, we have added many useful improvements including those which you requested. Couriers: Limited access for couriers to the mobile app allowing them to process their assigned orders. The list of available couriers is editable in the main settings screen of Shop-Script backend. Assignment of an order to a courier occurs on an order-viewing page when executing the “Sent” action. Read more about setting up couriers in the Help Center. Web push notifications on new orders in browser. For web push notifications to work, you need an SSL certificate for the domain name which you use to log into your Shop-Script backend. Read more about setting up web push notifications in the Help Center. Option to sort orders by creation date, update date, and payment date. Option to change the order of order action buttons (in section Settings > Order states). New rounding settings for total discount amount and shipping cost (in section Settings > Currencies). Displaying of ordered products in sales reports by selected customer segments. Option to sort products by individual stocks in backend section Products > Stock. Option to hide a product feature from storefronts to make it visible in the backend only. Improvements in product-editing and plugin settings screens. Bug fixes in sending email notifications and in returning customers to correct storefronts after payment. In addition to the main Shop-Script app, also mobile apps for iOS and Android devices have been updated, too (added limited authorization mode for couriers), as well as Site app (new settings added to parent design theme “Default 3.0” and default font family changed to Fira Sans). Also a new plugin “Invoice” has been released, for generating editable invoice print forms. This update is available both via Installer and on GitHub. An update for Files app has been released: version 1.1.0. In this version, we have added support for data synchronization with remote file storages and other resources. The synchronization occurs by means of plugins. To help you start using this useful feature right away, we have also published two free plugins: "Dropbox" and "WebDAV server". Now not only you can work with files stored in your Dropbox account. Any users who have access to your Webasyst backend can now access those files, too. Choose which is more suitable for you: allow Files app to access all files in your Dropbox or only a single folder. With this plugin set up, documents of your Dropbox account will become available in Files app just as another files folder. Work with those files in Files app as usual, any changes you make will be automatically synchronized with your Dropbox account. How to connect Files app to Dropbox. With this plugin, synchronization works the other way: files stored in your Files app can be made accessible from outside. You do not even have to log into your Webasyst account to upload, replace, delete, or rename documents stored in Files. Simply map a network drive, connected to Files app, on your computer; e.g., using File Explorer in Windows or Finder in Mac OS X, and work with its contents as you usually do with locally stored files. Any changes you make will be automatically applied to files stored in Files app, you will see them whenever you log back into Webasyst. This kind of data exchange is implemented with the use of WebDAV technology. How to connect a network drive on your computer to Files app. We are excited to announce the release of Shop-Script 7, a major update to our flagship ecommerce platform! Shop-Script 7 is the biggest update since the very first release of rewritten-from-scratch Shop-Script 5 back in 2013. Shop-Script 7 adds lots of handy features that will make your day-to-day operations with your online store more convenient and friendly. For more information on Shop-Script 7, please refer to new version's dedicated site 7.shop-script.com. Also, check out the big list of new features we published recently. 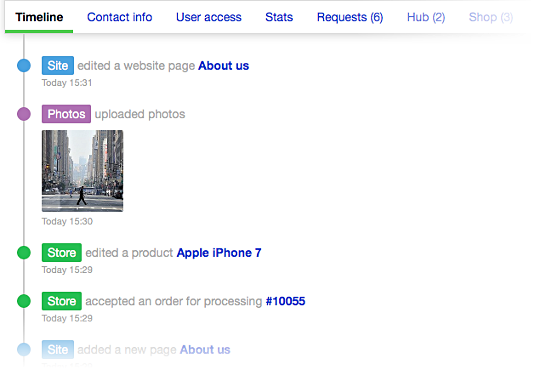 To testdrive Shop-Script 7, simply create new account in Webasyst Cloud and see all for yourself. It's free. Base license price for Shop-Script 7 is $399. This is one-time fee that enables you to install and use Shop-Script 7 on your online server or hosting and use it as long as your like. Cloud hosted option is available from just as little as $7/mo. 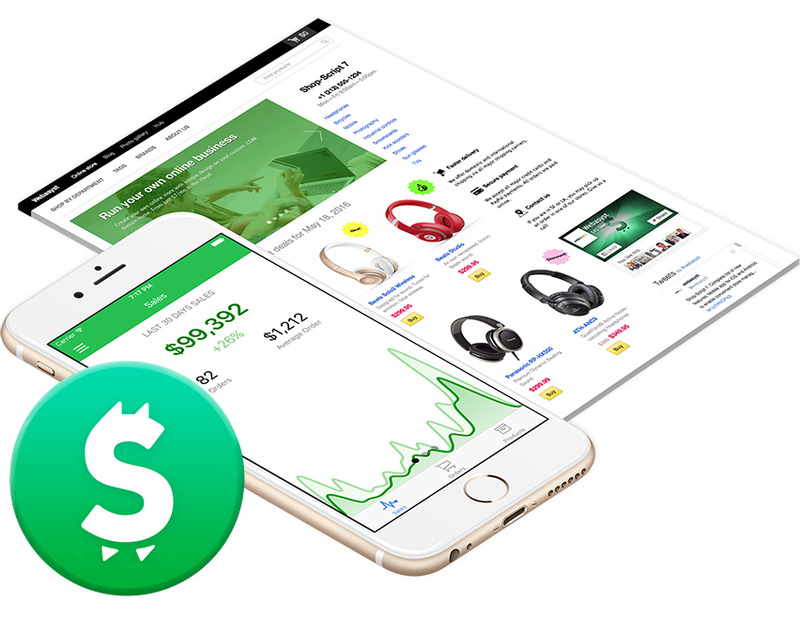 From now on, our partners will enjoy $200 profit on every Shop-Script 7 license sold. Check out our can-not-be-more-fair 50% to partners affiliate program and see how you can apply. The update is installed with one click in the Installer app. If you purchased your Shop-Script 6 license before December 31, 2015, upgrading to Shop-Script 7 will be paid. Please refer to 7.shop-script.com for details and special offers. If you are using Shop-Script in Webasyst Cloud or purchased your license in 2016, the upgrade to Shop-Script 7 will be free of charge. If something goes wrong when installing the update, please try clearing cache. In the Installer app, go to Settings > Clear cache. In most cases, it automatically fixes all kinds of issues. If that doesn't help, please contact customer support — we'll see what went wrong and how to fix. Uploading of product photos directly from a smartphone. Additional filtering by sales channels in "Orders" and "Reports" screens. Product transfers between stocks for easily moving products from one stock to another by using intermediate status "On its way"
Printing of transfer-related documents (implemented by plugins). In-stock assets based on purchase prices. Good news! We have finalized the connection of Webasyst Cloud to anti-DDOS filters provided by DDOS-GUARD company. This system change may require additional setup for your domains linked to Webasyst Cloud. Note that for all domain names registered via Webasyst, as well as those using DNS server ns.you-online-dns.net, all necessary setup has been completed by Cloud staff. If all your linked domains use this DNS server, then you do not need to do anything extra, your websites will continue working as usual. Enter your domain name linked to Webasyst Cloud on the WHOIS lookup page and run the search. If you have different DNS (name) servers than those shown in the picture above, then change your domain settings as described below. This change must be accomplished until April 15, otherwise your domain names will stop responding and your websites will become unavailable. Should this change be made until the specified date, no interruption in your websites operation will take place. To receive additional information, please contact our support team via your Customer Center. The price of a Shop-Script 7 license after the release in the middle of May will be $399. 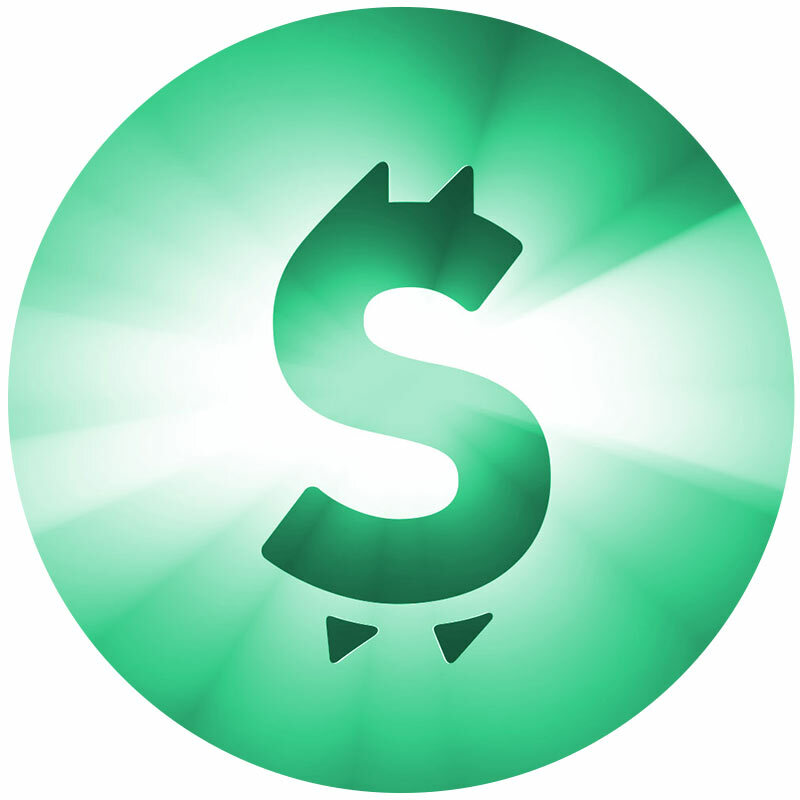 If you have purchased Shop-Script 6 after January 1, 2016, then the upgrade will be available to you free of charge. So, if you have been planning to buy a Shop-Script license, it is now a good moment to do so, because by simply ordering Shop-Script 6 you will also receive Shop-Script 7 at no additional cost. The upgrade will be free for all online stores hosted in Webasyst Cloud! We are preparing major changes to our partnership programs. The new changes will become effective on February 1, 2016 and will open new earning and business development opportunities for everyone working with Webasyst and Shop-Script. Effective February 1, partner reward (discount) will grow from 20—40%, which used to depend on the amount of sold software licenses, to 50% regardless of how many licenses a partner has sold. Partner discount will be equal to 50% even for the very first sold license! To become a partner, you will have to accept the terms and conditions of the partnership agreement and complete a questionnaire. Upon approval by Webasyst, a partner will be able to place orders with 50% discount. First license discount will be applied only for products developed by Webasyst. Further licenses of the same product will be available to partners with 50% discount regardless of the product developer. Crediting of partner account balance, with a minimum withdrawal amount threshold, which is applicable today, will be replaced with a discount applied immediately during checkout. As usual, a mandatory requirement for partners will remain the condition to keep their sales prices equal to those set by product developers. So partners will receive their reward immediately upon sale to end user rather than accumulate it on the partner account balance. At the same time, on February, 2016 we are closing the referral program, which has been allowing partners to attract new customers via promo links of the form ?promo_id= to Webasyst and Shop-Script websites. Unfortunately, the way this partner program was implemented, it proved inefficient. We will keep looking for other options of its development though. A new version of the referral program is planned to be announced in the spring this year. Effective February 1, discounts for additional licenses of any Webasyst products will grow to 50% (from current 10%–25%). The "50% off extra licenses" rule will be applied to all products published in Webasyst store including those created by third-party developers. Since the discount for additional licenses will become much larger, it will not be added to the temporary discounts of Webasyst special offers. Therefore, ordering an additional license will be а profitable purchase at any time, without having to wait for a large sale.